Progressive Family Eyecare offers emergency services during business hours for all of your immediate and urgent eye care needs. Please call our office at (734) 404-7740 for further instructions. Use your best judgment on urgency, if you feel your need to find the nearest emergency room. DO call our office at (734)-404-7740 for further instructions! We are here for you! We can help with red eye, pink eye, soreness and any type of eye infection or damage. We’re also certified to assist with foreign object removal. 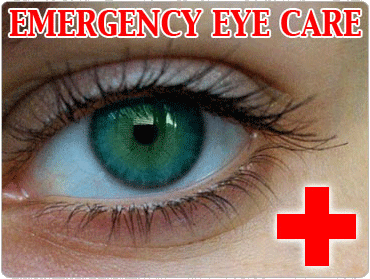 There’s no need to rush to your local emergency room for every type of ocular emergency.